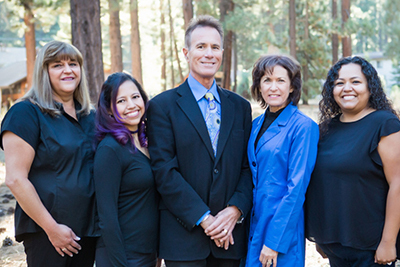 Porcelain Veneers – Tahoe Family Dentists - Providing excellence in dentistry in South Lake Tahoe. Veneers can completely transform your smile, without the need for extensive dental work or years of braces! Teeth that are stained, crooked, chipped, or uneven can make you feel self-conscious or dissatisfied with your smile. 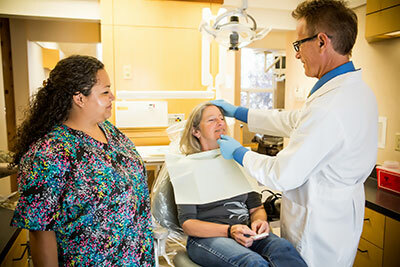 Porcelain veneers designed in our dental office in South Lake Tahoe can completely transform your smile, without the need for extensive dental work or years of braces. Porcelain veneers are customized shells of thin porcelain which are affixed directly to the front faces of your teeth, creating a brilliant smile. The veneers mimic the light-reflecting properties of natural tooth enamel, so your smile looks natural and relaxed. If you have an uneven gum line, stains from coffee or nicotine use, imperfections such as a broken or chipped tooth, or your teeth overlap slightly or gap a little, porcelain veneers could be ideal for you. There are a variety of benefits to choosing porcelain veneers as a cosmetic dental solution that can last for some years. Veneers are a fast, cost effective way to change the look of your smile without orthodontia or dental implants. You’ll have two dental office visits to create your porcelain veneers. The first appointment consists of prepping your teeth by removing incredibly thin layer of enamel and roughening the surface so the veneers can be adhered. An impression of your teeth will be taken and sent to the dental laboratory, where your porcelain veneers will be customized. Temporary veneers will be placed over your teeth until your second visit. The veneers will be fitted to your teeth at the second visit, adjusted until they look just right, and then bonded to your teeth. Your veneers can last for years with proper care. Don’t use them to bite hard objects or break things, or even hold an item. (not for natural teeth either). 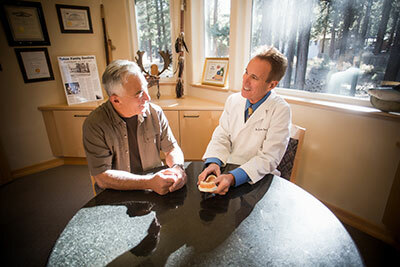 See your South Lake Tahoe dentist every 6 months and maintain your at -home oral hygiene regimen. If you are interested in porcelain veneers and would like to learn more, please call our office at 530-541-1353 to schedule a consultation!